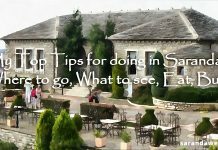 Every year, Saranda is being visited by thousands of tourists from different corners of the world and this year, I was one of them. From the moment I set foot in Saranda, I can’t help but be stunned by the beauty of the place. I wasn’t even surprised that it is considered as a hot destination. It certainly has a lot of things to offer to any visitor. After settling my luggage into my booked accommodation, I decided to wander around the area. It was almost high noon and I felt the urge to have my lunch first. Since I have no idea which of all the restaurants is the best, I went through the doors of the first that I saw, without even knowing that it is a choice that I will never regret. The Matrix Grill House is located in a very lively spot and I was not surprised that there are a lot of customers that hour, most of which are families who seem to be having a great time of sharing some good laugh over delectable looking food. The server greeted me with a big smile and showed me to an empty small table on the corner, not occupied at that moment since it seems that the personal touch of the place is what makes it more frequented by families and bigger groups. The place is decorated warmly and invitingly and everything is just so amazing to my eyes. As I was starving, I ordered mixed grill and fries. When it was served, the presentation alone was enough to make me feel full. The meat was very well seasoned, the fries equally tasty and there are also lots of cucumber and tomatoes on the side. I never had any qualms in eating everything on the plate because I know that it was very much easy on my pocket. Everything was definitely well cooked and superb is the perfect word to describe my meal. The menu has other entries that caught my attention. They have homemade grilled beef, calamares, chicken kebab, squids and other equally appetizing meals that I would surely be trying soon. In fact, I found myself going back to the Matrix Grill House later that night and this time around, I tried their homemade beef which was certainly the perfect beef that I have ever tasted in my whole life. Will I Recommend Matrix Grill House? With the friendly staff, high quality and delectable food, crazily low prices and a one of a kind experience of dining by the sea, I wouldn’t even think twice of recommending the Matrix Grill House. 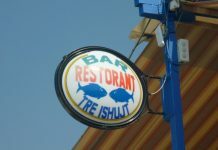 During my whole stay in Saranda, I practically had breakfast, lunch, snack and dinner at the place. So yes, it speaks so much of how I love the restaurant. 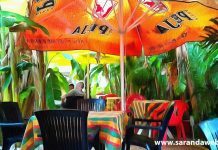 I’ll make sure that I will be bringing my whole family to Saranda next year and have them try the best grilled meals at the Matrix Grill House.